The firm’s founding member C.R. 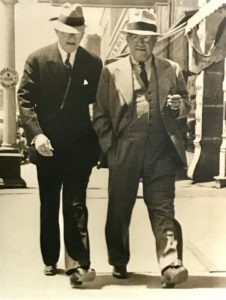 Ellery (right) walks with Judge T. Blake Kennedy. The firm was established circa 1930 by C. R. Ellery. Since then, Hickey & Evans has developed a litigation and transactional practice in a variety of commercial and business law areas. The firm represents individuals in estate planning and other civil matters. Hickey & Evans lawyers have been known for many years for their dedication to client needs and effective representation. The lawyers are members of local, state and national bar organizations; many have held leadership positions in legal and community organizations in Cheyenne and throughout the state. They are active throughout the Wyoming court system. The firm represents individual and corporate clients throughout Wyoming. Clients include telecom companies, power companies, oil and gas companies and pipeline companies. The attorneys have represented school districts and other local governments and Wyoming businesses and individuals. Hickey & Evans, LLP, provides clients with representation in a wide range of business law matters. In addition, they have developed a focus on utilities, oil and gas and environmental compliance. They defend insurance companies against claims and lawsuits, and advise corporate clients on environmental compliance. Their legal practice also includes insurance defense, and estate planning and probate services for individuals and families. 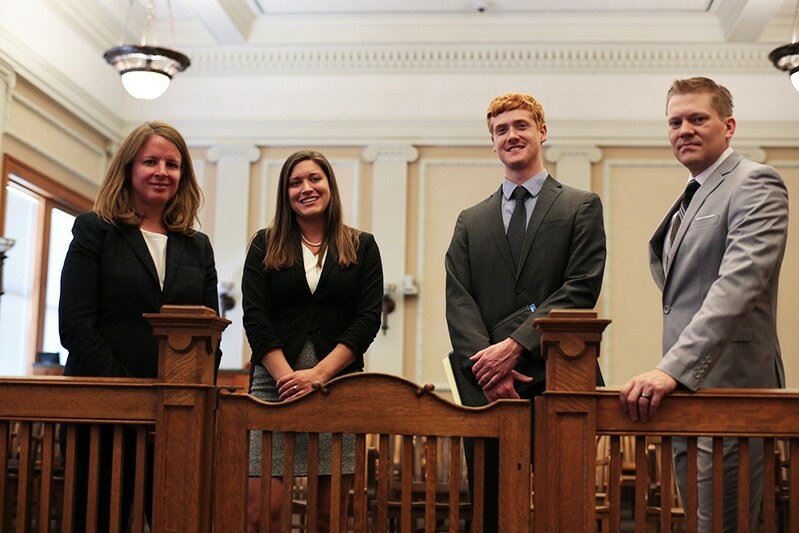 Trial attorneys at the firm handle litigation in all civil matters.